We have no bureaucrats. That means if you want to request a bot flag you have to go to Meta stewards instead. We do not have any privileges to grant your bot! ໒໓ Please test VisualEditor in your language! Already has a bot flag in: ar, am, an, ast, az, bar, bat-smg, bg, br, bn, bpy, bs, ca, ceb, cs, cv, da, de, el, en, eo, es, et, eu, fa, fi, fiu-vro, fr, frp, fy, ga, gl, he, hr, hsb, ht, hu, hy, id, is, it, iu, ja, jv, ka, kk, ksh, ku, lb, li, lmo, ln, lt, lv, mk, mi, ml, mr, ms, mt, nap, nds, nds-nl, nl, nn, no, pl, pms, ps, pt, ro, roa-tara, ru, sco, sh, sk, simple, sl, sq, sr, su, sv, ta, tg, th, to, tr, tt, udm, uk, ur, vec, vi, vls, vo, zh, zh-classical, zh-min-nan, zh-yue. On it.wiki has done more than 65000 edit. Hi, i request a bot bit for User:Idioma-bot. I request a bot flag for User:TuinuiBot. Details: Will remove interwiki langlinks when the exact samelinks are being served by Wikidata. The bot will not run until Wikidata is actually deployed. Hello. To facilitate steward granting of bot access, I'd like to implement the standard bot policy on this wiki. This will involve creating a redirect to this page from Project:Bot policy, and adding a line at the top noting that it is used here. In particular, this policy allows automatic acceptance of known interlanguage linking bots (if this page says that is acceptable), which form the vast majority of such requests. Dear community. I am writing to you to promote a special wiki called Betawiki. This wiki facilitates the localisation (l10n) of the MediaWiki interface. You may have changed many messages here to use your language in the interface, but if you would log in to for example the Japanese language Wiktionary, you would not be able to use the interface as well translated as here. In fact, of over 1,700 messages in the core of MediaWiki, 485 messages have been translated. Betawiki also supports the translation of messages for well over 100 extensions, with over 1,550 messages. Translators for over 70 languages contribute their work to MediaWiki this way every month. If you wish to contribute to better support of your language in MediaWiki, as well as for many MediaWiki extensions, please visit Betawiki, create an account and request translator privileges. You can see the current status of localisation of your language on MediaWiki.org and do not forget to get in touch with others that may already be working on your language on Betawiki. Hello Wikipedians, I am Theo and I am working for the Wikimedia Foundation during the 2010 Fundraiser. My job is to be the liaison between your community and the Foundation. This year's fundraiser is intended to be a collaborative and global effort; we recognize that banner messages which may perform well in the United States don't necessarily translate well, or appeal to international--~~[[ໝວດ:ຮູບ:ຂ]]~~ audiences. I'm cleaning up many pages, reverting vandalism, help with templates and so on. Hello. A new policy regarding the removal of "advanced rights" (administrator, bureaucrat, etc) was recently adopted by global community consensus (your community received a notice about the discussion). According to this policy, the stewards are reviewing administrators' activity on smaller wikis. To the best of our knowledge, your wiki does not have a formal process for removing "advanced rights" from inactive accounts. This means that the stewards will take care of this according to the new admin activity review here. Excuse me for not speaking Lao yet. PS: We would be grateful if you could translate this note into Lao. Please enable the Beta feature in your preferences and check the box for Content Translation. Visit the page Special:ContentTranslation or to your contributions page to open the tool. Click on the blue button to create a new translation. A dialog will be displayed. In the From section select the language of the original article and the article name and the language you would like to translate to. Also add the title of the new article (or the original title will be inserted) and click on Translate to begin. Your language preferences will be remembered for the next time. You will see a screen consisting of three columns. The left column contains the text of the source language and the middle column is for the translated text. 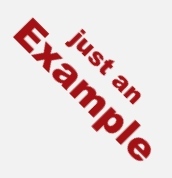 Using the right column you can perform several actions such as insert source text, remove the inserted text source text, add or remove links etc. After you translate the article, you can publish it directly as a new page on the Lao Wikipedia by using the publish button that appears. In case the article gets created by another user while you were translating, you will see an option to save the newly published translation under your user namespace. The number of published pages can be seen on the Content Translation stats page. More than 100 languages are now listed. Hello. Please excuse the English. Please help translate to your language. Thank you! You don't have to wait until the deployment to test it; you can test the visual editor right now. To turn it on, select "Beta" in your preferences. Choose "VisualEditor" and click save. When it is enabled, you will press the "ແກ້ໄຂ" button to edit an article in the new software. To use the wikitext editor, you can press "ແກ້ໄຂຊອຣ໌ສ". Please help translate the user interface and pages about the visual editor. See the visual editor's TranslationCentral for general information. To translate the user guide, go to the MediaWiki.org page, and select "Translate this page". Your language should be available from the drop-down menu on the right. Once you've done this, you'll see the document in English, side by side with any translation work already done in your language. You can add new translations or change old translations. To translate the user interface, you need to create an account at translatewiki.net. Contact me personally if you need help with that. Hello again. Please excuse the English. Please help translate to your language. Thank you! If you can translate from English into this wiki's language, or know anyone who can, please follow the links below, as this language still has 0% progress in translations (0% or slightly above, for interface messages). You'll help your community get the best possible experience when it comes to interface messages and documentation related to the visual editor. After you click on any links, your language should be available from the drop-down menu on the right. Once you've selected it, you'll see the document in English side by side with any translation work already done in your language. You can add new translations or modify existing ones. The interface is hosted at https://translatewiki.net; you'll need an account if you never translated there before. 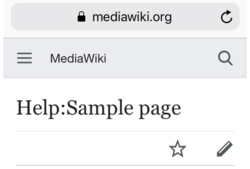 The user guide lives at Mediawiki.org, for which you can use your regular Wikipedia account. You're welcome to contact me personally whenever you need help. Hello. A new policy regarding the removal of "advanced rights" (administrator, bureaucrat, etc) was adopted by global community consensus in 2013. According to this policy, the stewards are reviewing administrators' activity on smaller wikis. To the best of our knowledge, your wiki does not have a formal process for removing "advanced rights" from inactive accounts. This means that the stewards will take care of this according to the admin activity review. As per previous announcements earlier this year, the visual editor (VisualEditor) will be enabled at this Wikipedia in some days. It allows people to edit articles as if they were using a typical word processor. Here's a quick explanation of what is going to happen: you can find a more detailed one, with pictures, at mediawiki.org. In the new system, you get a single edit tab which follows your preferences, and that therefore will launch the wikitext editor or the visual editor depending on which one you opened the last (Remember my last editor). Always give me the visual editor if possible (if you temporarily switch to the wikitext editor through the button on the toolbar, the system won't remember it; also, it only applies to namespaces where the visual editor is available). Please spread the word about this major change in any way that you deem appropriate for this community, by linking to this announcement elsewhere, putting up a site notice, etc. Please note it will affect all the registered users at first, and after some days it will reach logged-out contributors as well if no major technical issues have arisen. Don't hesitate to ask questions, I'll be around for a while to help! Hello again. This message is only available in English at this time: Please help translate to your language. Thank you! In the visual editor, the [[ ]] (square brackets) icon allows you to switch to the wikitext editor. Please note that the button will soon say ເຜີຍແຜ່ໜ້າ or ເຜີຍແຜ່ການປ່ຽນແປງ, due to an unrelated change. As some of you have noticed, this Wikipedia now has the visual editor (VisualEditor) enabled for all registered users. The rollout to logged-out users will likely happen in a week or so. For an explanation of how the editing system now works and how to choose/go back to your favorite setting, please see my previous announcement above. If you wish to change your editing system preferences now, this can be done from this link to your Preferences --> ການດັດແກ້ --> Editing mode:. All edits using the visual editor will be tagged with "Visual edit" in recent changes, watchlists, and page histories. To access the User Guide for the visual editor, click on the "(?)" icon in its toolbar. The "Save" button now says "Save page" when you create a page, and "Save changes" when you change an existing page. In the future, the "ບັນທຶກ" button will say "ເຜີຍແຜ່ໜ້າ". This will affect both the visual and wikitext editing systems. More information is available on Meta. Deadline for submissions and scholarship applications is on 15 March 2018. ໜ້ານີ້ຖຶກແກ້ໄຂຄັ້ງລ້າສຸດເມື່ອວັນທີ່ ໒ ພະຈິກ ໒໐໑໘, ເວລາ ໑໔:໑໗.